We’re big believers in uptime, reliability, and transparency. All three are key in how software-as-a-service companies should operate. 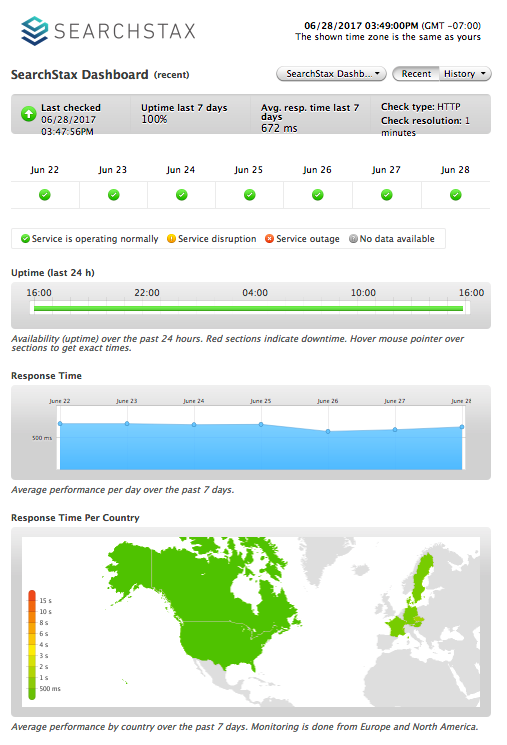 In that vein, we’re happy to announce our new status page. 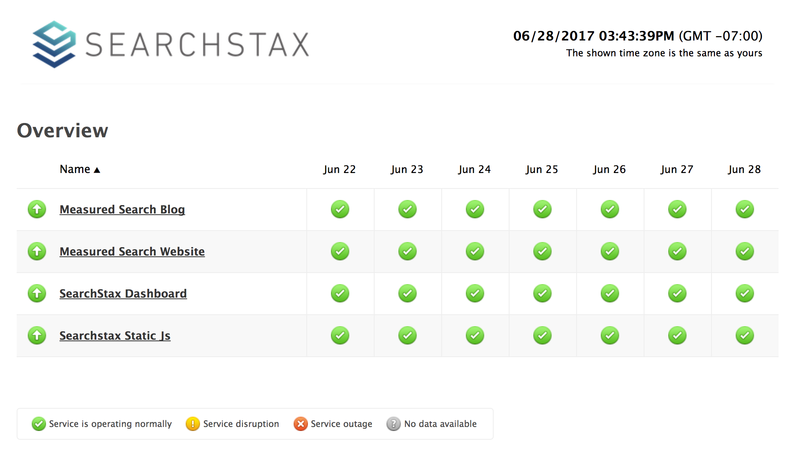 This web page tracks the uptime of the SearchStax dashboard server, the Measured Search website and the Measured Search blog. This dashboard is publicly available. At anytime, customers, prospects, or any interested party can see if our service is operating and our uptime over the previous seven days. Additional statistics include average response time and response time per country. A green checkmark means that the service was unavailable no more than two minutes in 24 hours. More than two minutes of downtime shows a yellow warning icon. The dreaded red X appears when a service was down for more than 30 minutes during any one day. At Measured Search, we are dedicated to keeping things green for all things related to uptime, reliability and transparency! Our SearchStax Solr-as-a-Service customers, receive comprehensive monitoring and alerting. Customers who choose Gold or higher plans receive SLA-backed uptime guarantees – to learn more click here.